Trade show printing roll up graphics.Looking to turn your exhibition stand into a show stopper? Our large format digital printing department specialise in exhibition and trade show printed graphics from simple header panels to full blown graphics for custom built stands. If you're looking for quality graphics delivered on time every time call us on 0844 800 1020. Use our experience to highlight yours. One of our best selling products are roll up graphics. 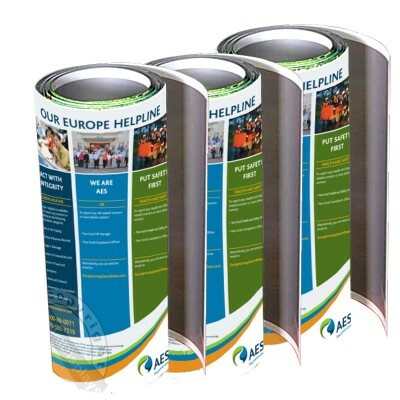 Printed on high quality materials and laminated with a protective cover these graphics panels can be easily rolled up for storage and transport.